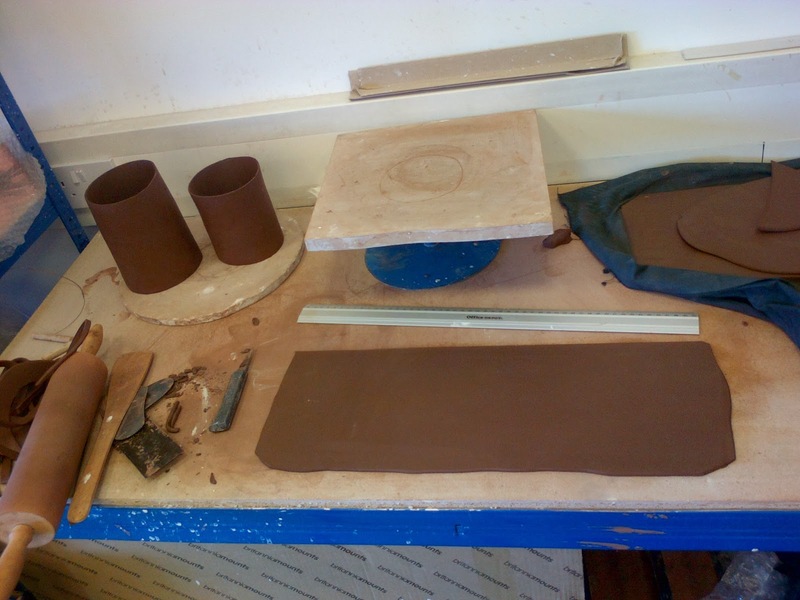 Somehow the time has flow by and its been a couple of months since I wrote a blog post…! 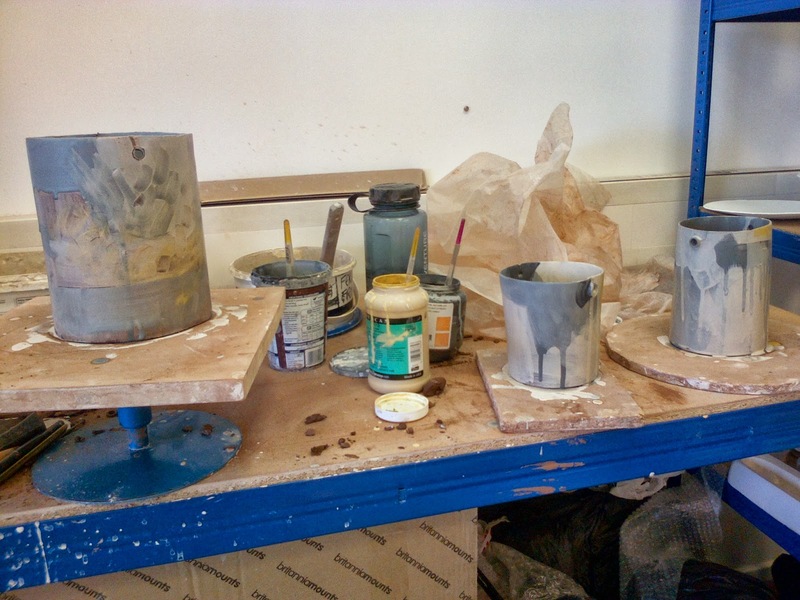 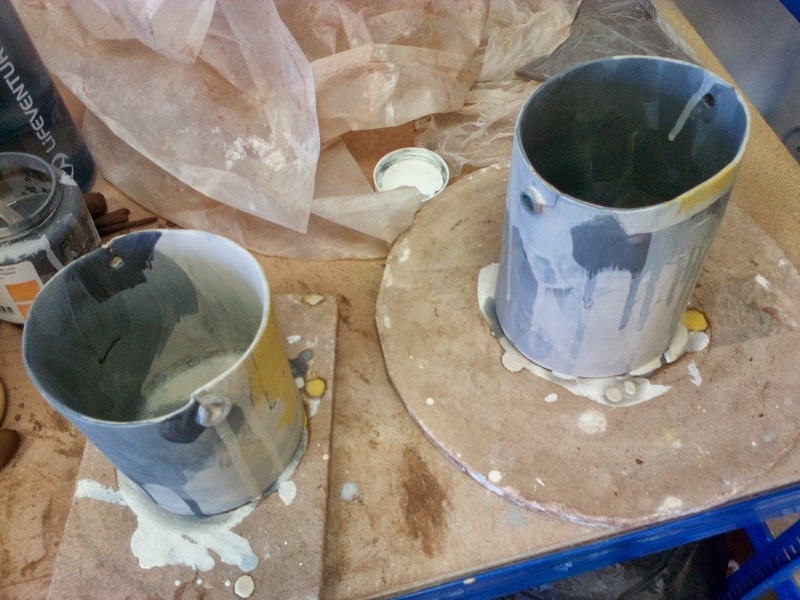 Studio work has taken over with teaching, admin, the studio range of slip cast pieces, work experience placements and applications. Not to mention the new website which is under way, and hopefully ready to launch soon. 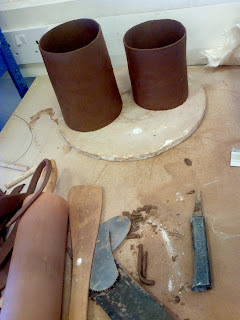 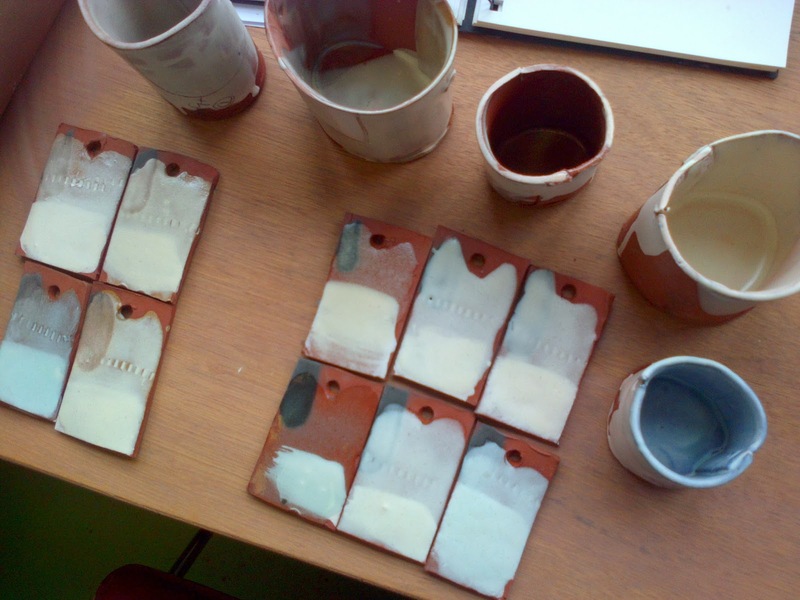 We also had a visit recently from the lovely Make Works- http://makeworks.co.uk/ as part of their tour of Scottish studios and workshops. 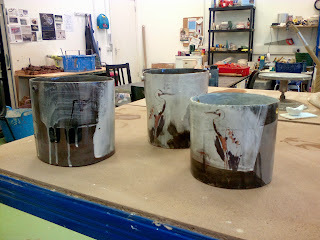 I have however managed to fit in a little of my own work, so the images below are of pieces at different stages. 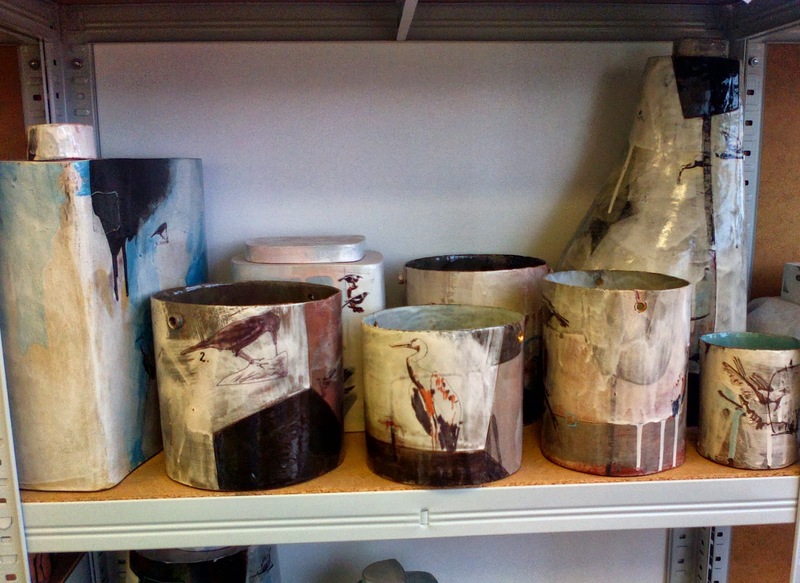 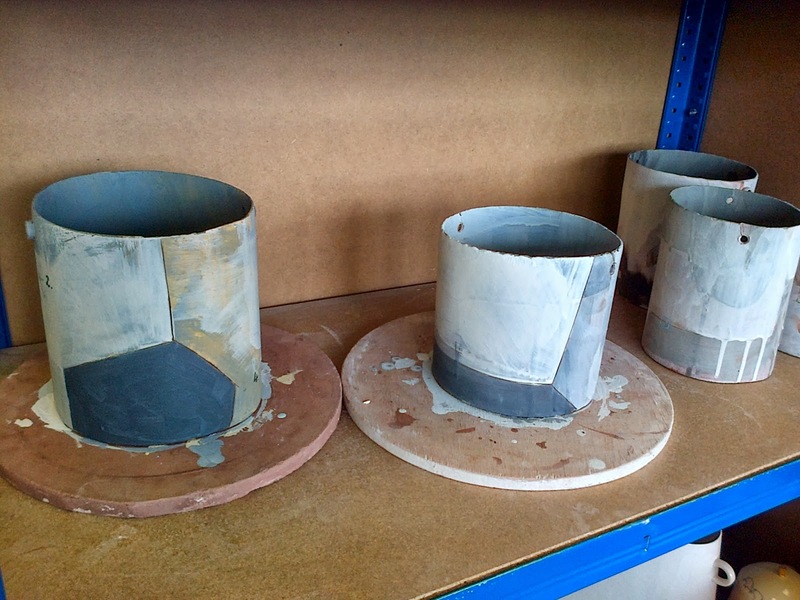 These bucket forms are ready to go to exhibitions in the next couple of months; will post up some more images once I’ve got them photographed properly.